Arctic Blue Synthetic Snowmobile Oil exceeds the JASO FD smoke standard to such a level that visible exhaust smoke is essentially eliminated after warm-up. This low smoke performance, combined with lower exhaust odor, is not only great for the environment but assures you the very best we can offer towards a more pleasant snowmobile ride. Exceeds all snowmobile manufacturers’ requirements including Arctic Cat, Ski-Doo, Polaris, Yamaha. Exceeds North America API TC or TSC-3. Exceeds Japanese “Genuine” JASO specification “FD.” Meets or exceeds European ISO “Global” specification “GD” (ISO-L-EGD) and “GC” (ISO-L-EGC). Excellent performance in high performance – high output engines using variable exhaust systems such as RAVE, and in racing conditions. Reduced exhaust smoke essentially eliminates visible exhaust smoke after start up, exceeding JASO FD smoke emission standard. Exceeds SAE’s Category 4 fluidity/miscibility requirements with exceptionally low temperature flow (-70F pour point). Premium additive chemistry improves lubricity, scuffing protection with exceptional lubrication protection for all equipment in all riding styles. High temperature dispersants and detergents minimized piston and valve deposits, which prolong engine life, reduce piston ring stick, and keep variable exhaust valves clean and free under extended cleaning cycles. Protects Engines Against Rust: A film of oil and special surface active additives protect engines from the moist air taken in as air for combustion, as well as the water that forms as a result of combustion. 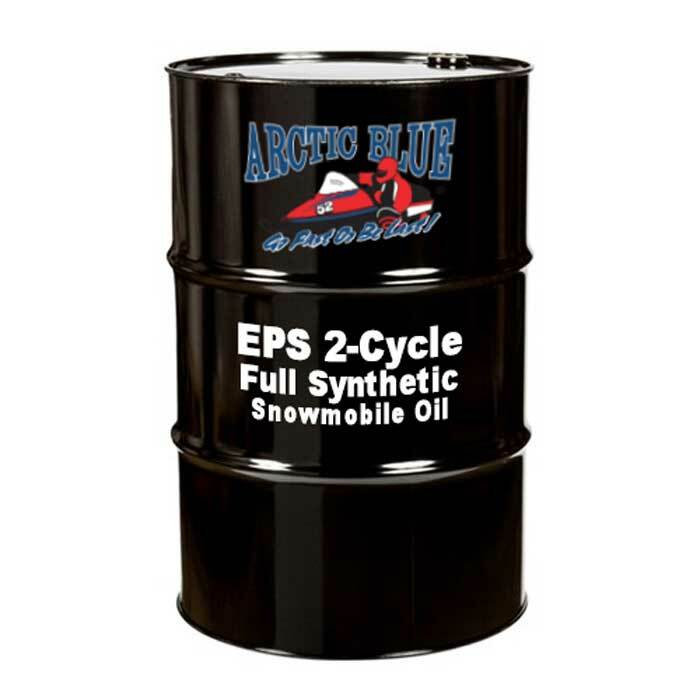 Using Arctic Blue EPS Synthetic WILL NOT void your engine warranty.